While 2011 was a very busy year for the technology industry, the constant rate of innovation and activity in the market shows that things probably won’t slow down in 2012. Below, we’ve rounded up some of GigaOM’s biggest stories of the year — roughly in the order that they occurred — with a bit of insight on what each could mean for 2012. Now that the deal is off the table, the industry can return to solving the big question that plagues wireless in the U.S.: How the heck will operators get the spectrum and build the networks they need to support robust demand for 4G wireless services and still make money. 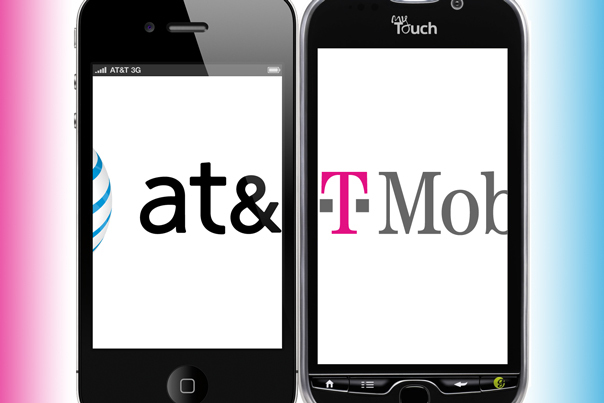 … AT&T’s bid to get more spectrum wasn’t just an attempt to take out a competitor; it really did need more spectrum for its LTE network, and having T-Mobile’s AWS airwaves ready for an LTE deployment would have made AT&T’s migration path a lot simpler. As operators move from 3G to 4G services such as LTE, they are learning the costs associated with remaking and upgrading their networks are substantial. And as they look ahead to spectrum-hogging standards such as LTE-Advanced, they need more megahertz. Most big Internet companies spend a lot of time and money on designing and maintaining data centers. But typically, these companies keep the nitty-gritty details of how they manage the servers that power their operations to themselves — the makeup and quantity of servers that run Google has long been some of the search company’s most highly-guarded secrets, for example (though Google has been sharing that data as of late). 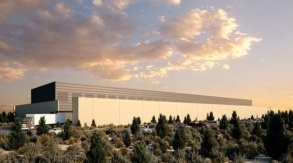 Facebook, however, decided to start telling the world about its data center details. What this means for 2012: More sharing in the infrastructure space, particularly around how to reduce energy consumption of data centers. Executives from Intel (s INTC), RackSpace, Arista Networks and Goldman Sachs all joined the Open Compute Project’s board of directors. Of course, pledging to be “open” is almost always good PR, but with this particular initiative Facebook is leading the way with concrete efforts for real transparency in a major industry issue. In June, Google launched Google+, its newest answer to the social networking space that in recent years has been dominated by Facebook. That move seemed to spark renewed vigor from Facebook to maintain its social edge and the next week at a quickly-assembled press event for a new in-Facebook video chat app powered by Skype, Mark Zuckerberg kicked off what he called his company’s “Launching Season 2011.” This season also seemingly culminated with the September debut of Timeline, a dramatically different new Facebook user interface. Google, meanwhile, directed increasing amounts of its attention on trying to make Google+ a success. What this means for 2012: Even more competitive activity and expect the year to be cut throat. Facebook and Google are showing no signs of backing down from the battle, and with its own bold new redesign, Twitter has thrown its cap into the ring to be the social networking site of choice. What a year it’s been for Netflix — and not in a good way. It all began in June, when the company announced changes in its pricing structure (splitting its DVD rental business from its online streaming business) that would significantly boost prices for the vast majority of customers. Not surprisingly, that didn’t go over so well. 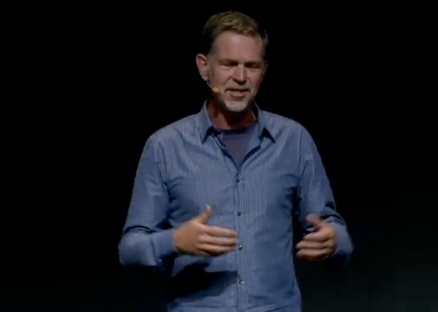 So in September, CEO Reed Hastings apologized for the changes and took back the price hike. Instead, he said, Netflix’s DVD rental business would be rebranded as Quikster and essentially put up for sale as the Netflix brand moved to a streaming-only model. That didn’t go over so well, either. So less than a month later, Netflix once again backtracked, killing the Quikster proposal and electing to keep DVD rentals in its core business. Wall Street analysts lauded Netflix’s ultimate decision to keep DVD rentals alive, but Wall Street punished the company nevertheless: Netflix share price dropped from nearly $300 earlier this year to about $70 now. Spotify, the popular Europe-based on-demand music streaming service, finally made its highly anticipated debut in the United States in mid-July. A couple months later, the service got an extra boost with a deep integration with Facebook that let users easily listen to songs on Spotify and share them with friends through the social networking service. What this means for 2012: The buzz around Spotify seems to have spurred other online music services to bring their A-games to the space. Expect more innovation from Pandora, MOG, Rdio, Rhapsody and others. Google shook up the dog days of mid-August when it announced plans to acquire Motorola Mobility for $12.5 billion. Once the deal is closed (it’s expected to go through in early 2012) Google will have bought access to Motorola’s portfolio of 17,000 current patents and 7,500 patent applications across wireless standards and non-essential patents on wireless service delivery. What this means for 2012: The deal is such a huge one that all of its ramifications will take a while to become clear, but Google’s ultimate goal is to further strengthen the mobile strategy it built with the Android mobile operating system. With some 700,000 Android devices being activated daily, Google is already well-positioned in the mobile space — the Motorola investment shows that the company is in it for the long haul in mobile. Solar panel maker Solyndra was one of the highest profile companies the cleantech space has seen in recent years, garnering visits from President Obama, and applause from Vice President Biden, DOE Secretary Steven Chu and then California Governor Arnold Schwarzenegger. The company even received a $535 million loan from the U.S. government. So when the company filed for bankruptcy in August 2011, laid off more than 1,000 employees, and essentially lost the entire tax-payer funded loan, it was a huge blow for a number of industries: Technology, venture capital, and of course solar power. Ucilia Wang wrote in-depth about the story behind Solyndra’s rise and fall for GigaOM. The bigger trend behind Solyndra has been global crashing solar prices. Thanks partly to Chinese solar companies flooding the market with low (and below) cost solar panels, solar panel makers throughout the world have been struggling and have been going out of businesses. While that’s not good news for those firms, it’s great for consumers, businesses and utilities that are buying solar panels — solar has never been cheaper. What this means for 2012: Being that the Solyndra implosion will go down as one of the biggest venture capital losses in history, VC firms will be understandably hesitant to invest in solar companies for quite some time. Also, the federal grants awarded to Solyndra have become a punchline of sorts in the political arena, so the U.S. government may also shy away from supporting solar companies for a while. In August, Hewlett-Packard raised eyebrows when it announced plans to spend $10 billion in cash to acquire Autonomy, a UK-based software and services company and said it would look into selling off its $40 billion-a-year PC business. Investors and the industry at large were stunned by both moves which, apparently, were the last straw for HP’s board as well. A month later, HP fired Leo Apotheker, the CEO who brokered the deal and set the PC change in motion, and brought in former Ebay CEO Meg Whitman as his replacement. What this means for 2012: As GigaOM’s Barb Darrow writes, 2012 is a crucial time for HP to work to “repair its reputation and restore itself to the status of IT icon.” Whether the company will succeed in doing so remains to be seen. 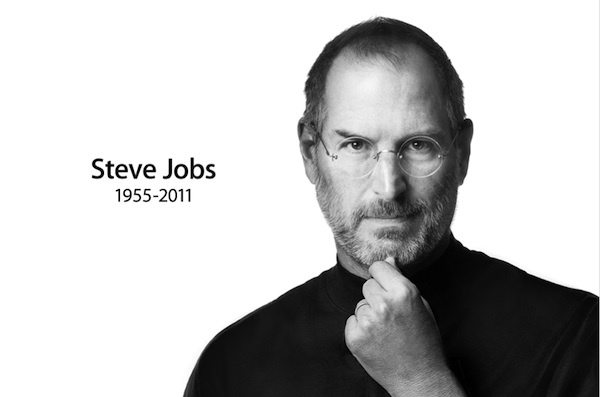 Apple co-founder Steve Jobs’ death on October 5 was a big story for the world even beyond the tech community. Although his passing was not completely unexpected — Jobs had suffered from pancreatic cancer and related complications for some time, and had stepped down from the CEO role at Apple in August because of his health — his death deeply affected many people. Jobs was hugely influential through his work at Apple and as a tech industry figure in general. A number of venture-backed web companies made their stock market debuts this year. LinkedIn (LNKD), Pandora Media (s P), Zillow (s Z), Groupon (s GRPN), Zynga (s ZNGA), and TripAdvisor (s trip)- all went public in 2011. While not all of these companies had stellar post-IPO stock price performances, the very fact they got out the gate is a win in itself for investors and founders. What this means for 2012: By the looks of it, the IPO wave is just getting started. Analysts say 2012 promises to be another big year for tech IPOs, and in the spring 2012 public offering expected from Facebook will likely be the star of the show. Some images courtesy of HackingNetflix, whiteafrican, hyku, jdlasica, and Mathieu Thouvenin. I like how Colleen has mentioned the story and then added a ‘What this means’ sub-topic to illustrate the implications of the same in the following year.. Very well explained post ! I hate the new Timeline feature. There is no point even using FB now. There is too many new alternative solution such as WinkFriend.com that lets you design your profile layout. No sense just settling for less anymore! 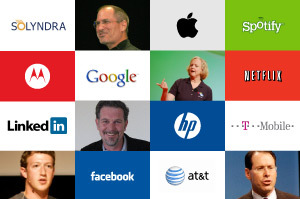 I think 2011 was all about steve jobs. 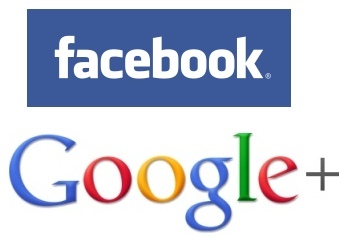 After Google+ fails to unseat Facebook and Twitter, what next? Google+Infinity? Thanks for the nicely thought out summary.